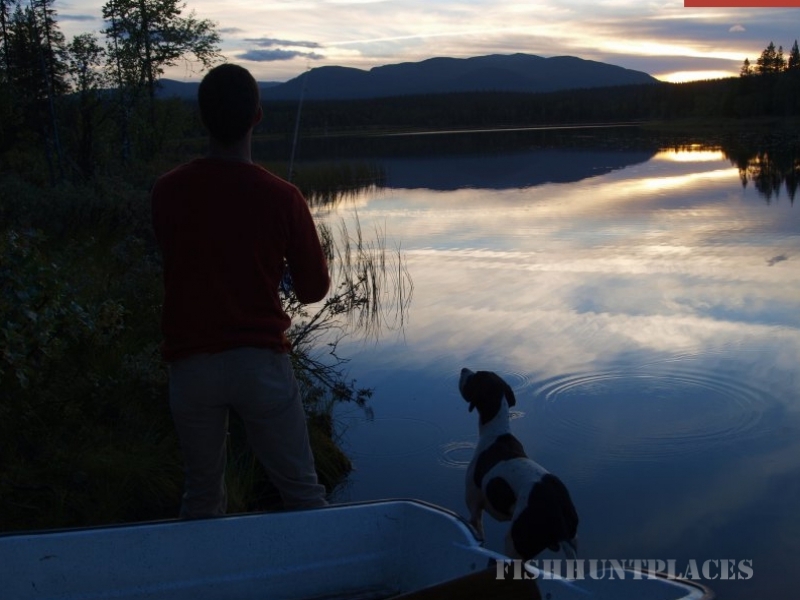 Nordic Alaska is perfectly positioned for fishing in Lapland in its location between the Gardfjället mountain and Lake Umnässjö. We offer six rental boats and clear advice to anyone wanting more information about the area. Our long experience with Lapland fishing enables us to offer full service guided tours nearby or helicopter tours to distant alpine lakes. 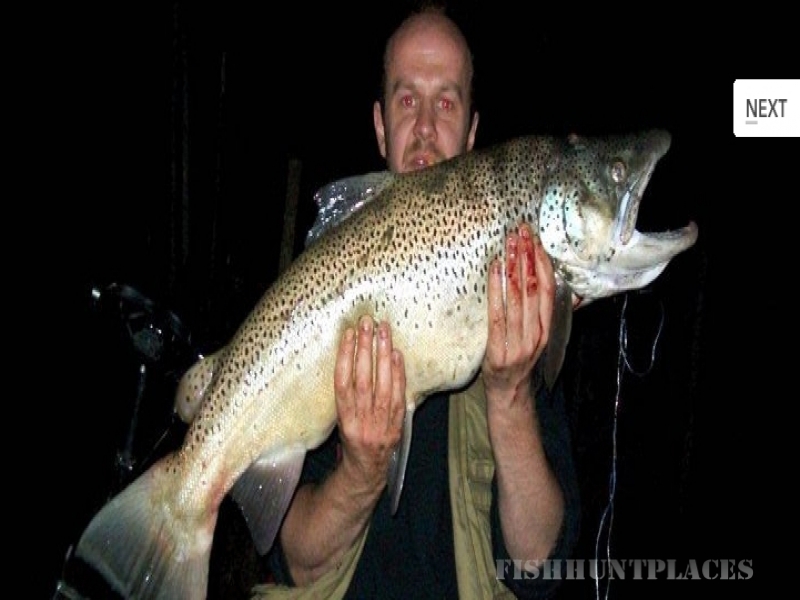 Our area is famous for its excellent fishing for char, brown trout, pike, perch and lavaret. Nordic Alaska offers lodgings for all tastes. There is a hotel for those wanting full service, as well as cabins or flats fitted for self-catering. Our facility is open year round. Trout fishing is best in the spring, summer and autumn, while char bites in all seasons. Rainbow trout are active in summer, autumn and winter and lavaret in winter as well. 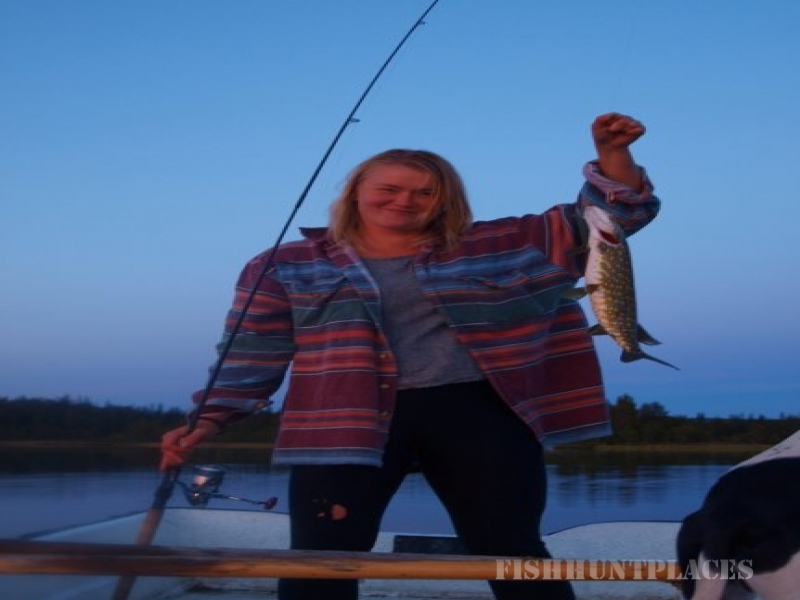 Grayling is a typical summer fish and American lake trout is quick in spring and early summer. Pike and perch are summer and winter fish. At Nordic Alaska there is a pub, a restaurant and an in-house thin-bread bakery where you must book reservations. Other activities include a museum, pre-booked riding tours and excellent hiking trails in both forest and alpine settings. We can custom design packages to match your specific wishes and are members of STF, the Swedish tourist association. You can hire a fishing guide here and complete fishing equipment. We have several rental aluminium Kimple 430 boats fitted with Tohatsu 7.5 hp four-stroke motors, as well as a 4.5 m glass fibre rowboat. A boat trailer is available for transport between lakes. We have both a restaurant and a pub. Fly-fishing in both running waters and lakes using spinners for all trout. 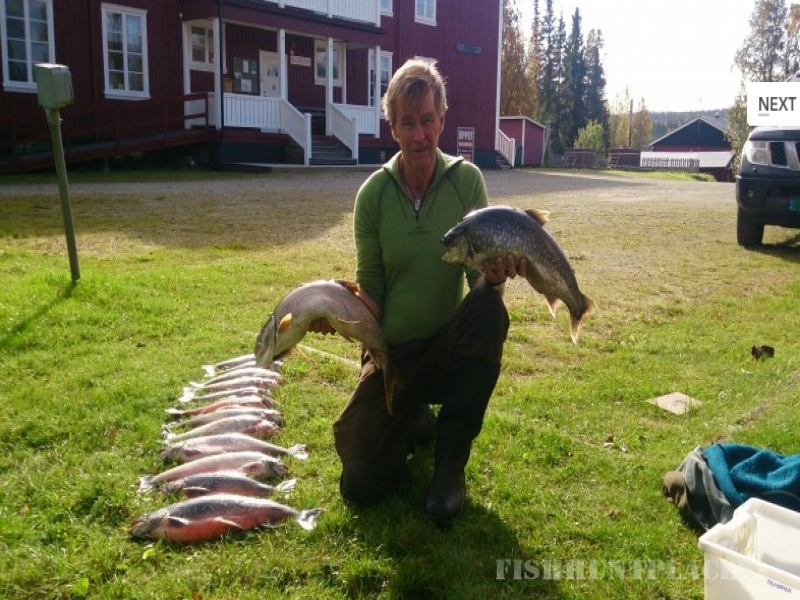 Rainbow trout fishing from boat and shore, ice fishing with maggots and worms for char, trout and lavaret. Pike and perch using spinners, lures and wobblers. Winter fishing for lavaret with wobblers. Trolling fishing on the larger lakes both summer and autumn. The rules vary from lake to lake, as well as for various species. When you buy your fishing licence you will receive complete rules for each fishing site. A general rule is that fishing with worms is not allowed in running waters and an overall policy is that you keep only as much fish as you can eat on site during your visit with us. Fyll in kontaktinformasjon og send oss en mail. ett mail till oss. Det er viktig att du skriver inn korrekt email og telefonnummer så vi kan kontakte deg tilbake.